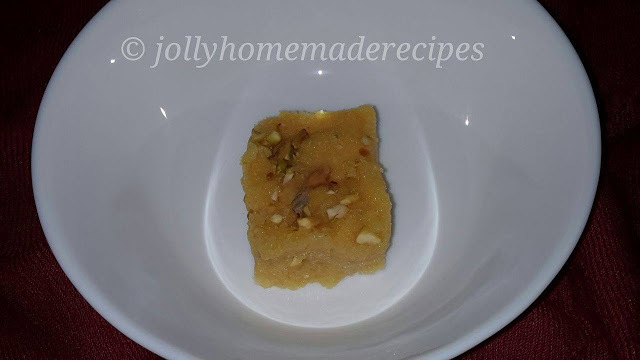 Kesar Aamras recipe with step by step pictures – A sweet delicious mango treat made from flavored mango pulp served during summers with poori or roti or served as sweet after meal. 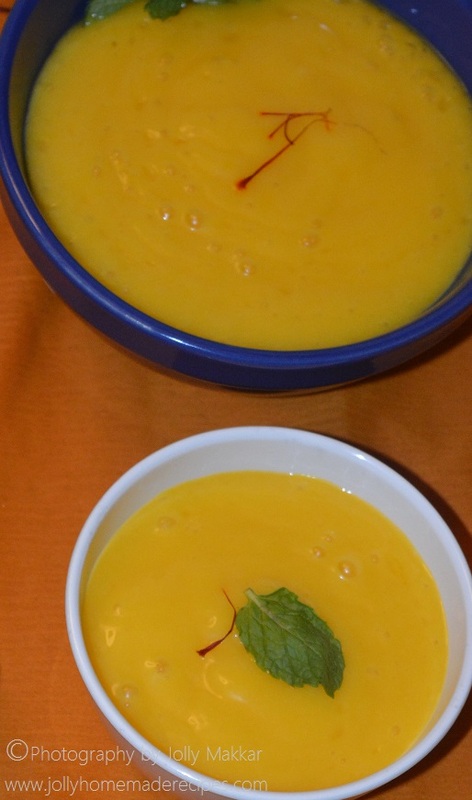 Aamras is very popular dessert in Rajasthani cuisine and Maharashtra, Gujarati homes, especially during festivals. Summer is on its peak and our local market is already flooded with best qualities of Hapus mangoes in Bangalore. Aamras is nothing but mango juice. 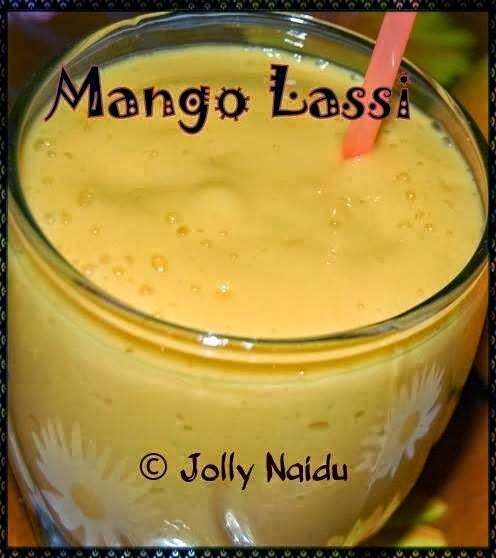 “Aam” means mango and “Ras” means juice, so the word aamras means mango juice. 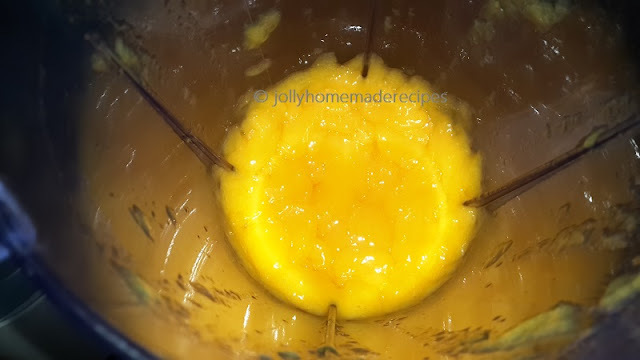 During summer season aamras is very popular dish in gujarati and maharashtrian homes, my husband is from maharashtra so he loved aamras..
when he see the good quality of mangoes in market as compared to last year, he buy 1 kg of mangoes and said me please make an aamras for me, so I can have with my every meal. Aamras recipe is prepared with different types of mangoes available in market. My husband love aamras in any form, so this is my forth batch of making aamras at home :D whenever I make he start eating so can't take pictures of that so this time I make it when he is in office :P and this time I can take the pictures of aamras. But this time I made "Kesar Aamras" [flavored aamras]. 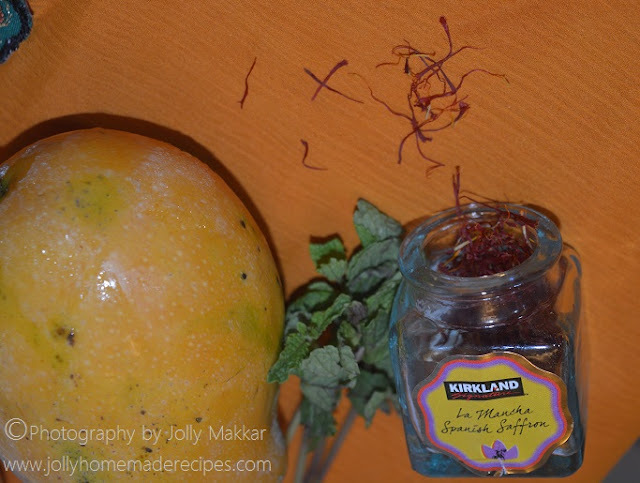 If you don't want Kesar in your aamras just discard that step otherwise all recipe is same for normal aamras also. 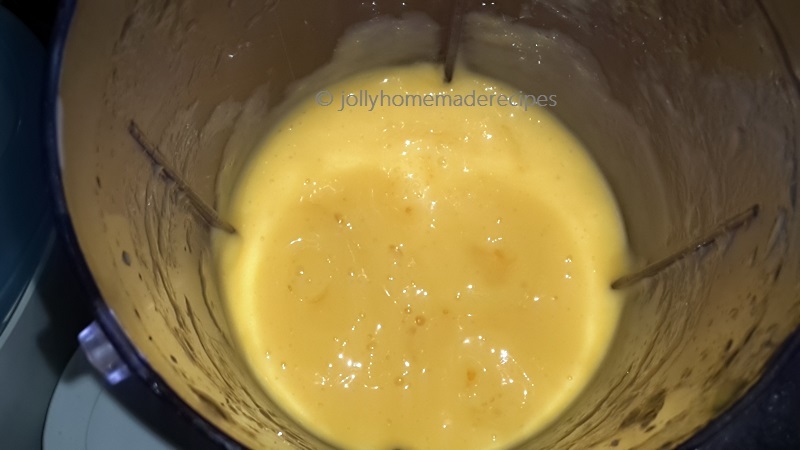 I usually liked fresh aamras and moreover consume for another day only otherwise aamras change the color & taste, so its better to make fresh batch every time. It will take hardly 10 to 15 minutes to prepare. 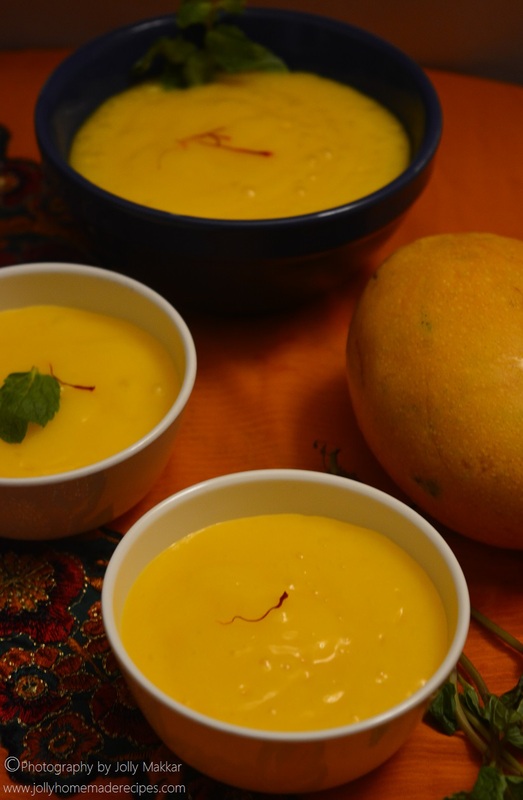 Aamras is best prepared with ripe mangoes or overripe too, if they too ripe then it is best to make aamras instead of eating slices. Usually in my home we cut fruits(apple or mangoes) into slices and eat along with dinner. 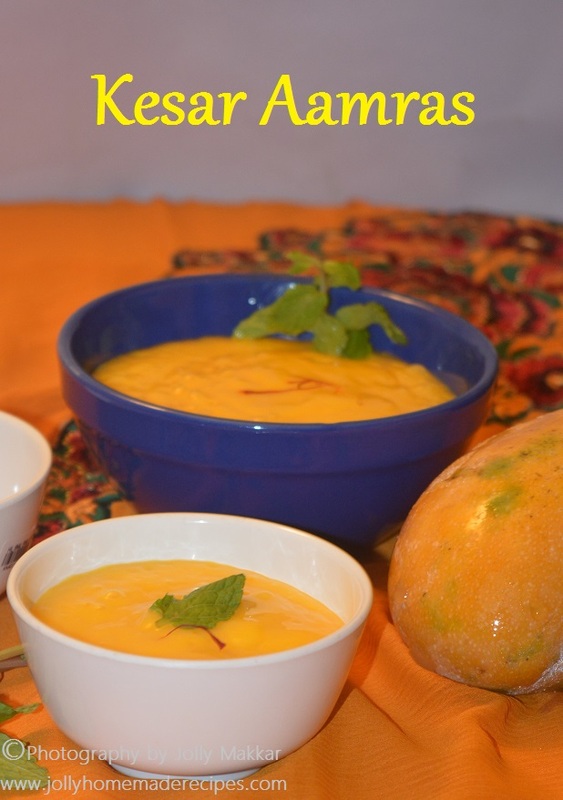 Aamras goes really well with puri or roti. 1 Wash the mangoes. Rinse the mangoes, then peel and chop them. 2. 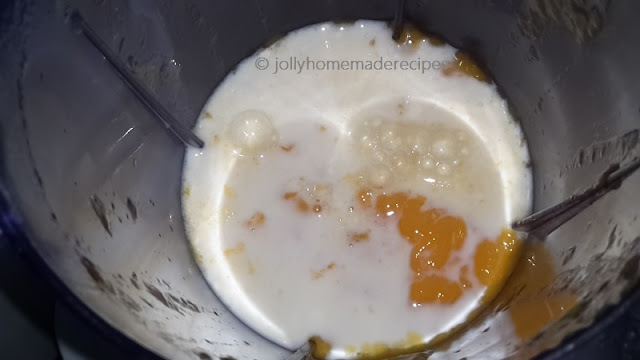 Add sugar, water and mango pieces in a blender...blend till smooth. 3. Add milk and crushed kesar/saffron strands and mix well to thin down the aamras. 4. 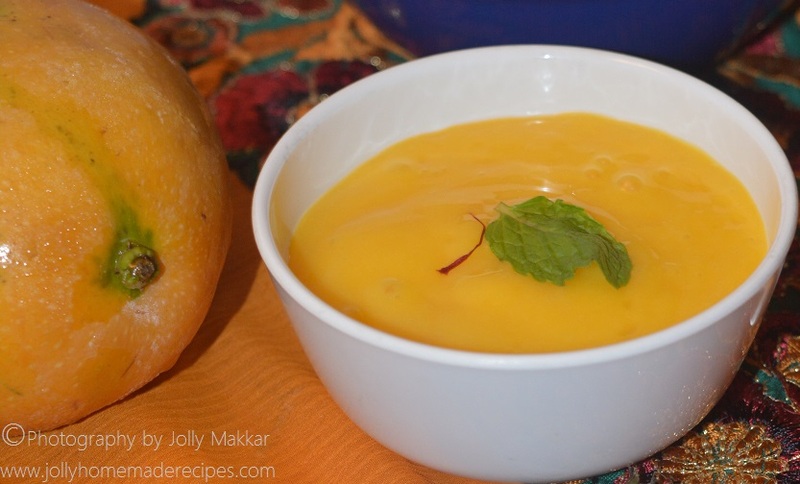 Pour the aamras into serving bowl and chill in the refrigerator. 5. 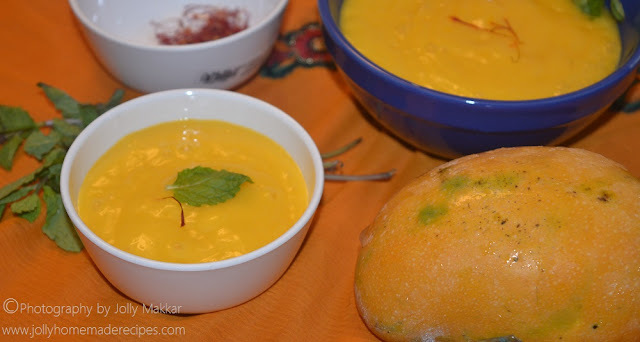 Serve the cold aamras with poori or serve with chapatis. You can serve this as sweet dish or as a dessert after your dinner or lunch. 6. Enjoy delicious Kesar Mango Aamras!!!! Enjoy & Happy Cooking !! Definitely my favorite dessert for summer. I love eating aam ras with anything savory, be it poories, missi roti or masala corn chips. This is my favorite and you have presented it so beautifully! Looks so yummy, and awesomely divine. Beautiful share, my dear! Drooling. 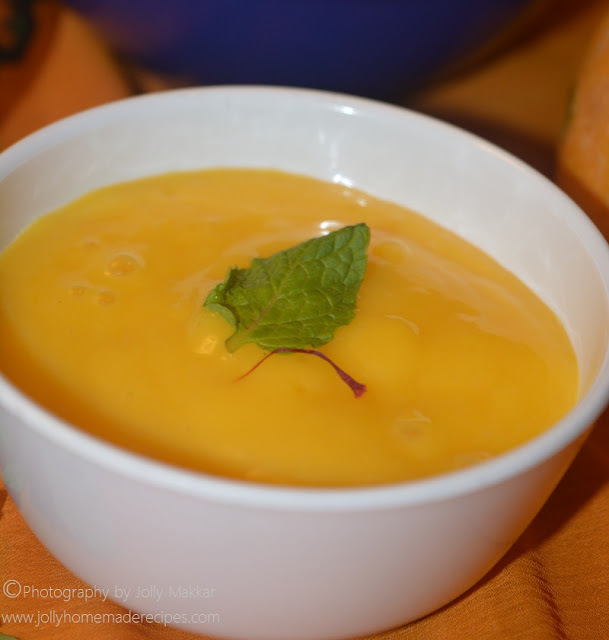 This aamras looks so good and YUM! Oh yum! That bowl looks so temptingly delish and refreshing, Jolly. 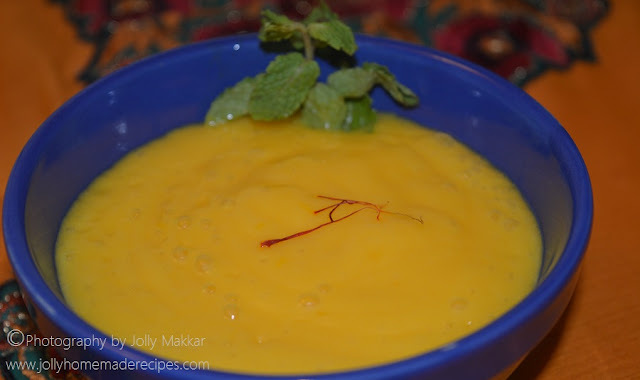 SO much yes to this kesar aamras! YUM.